Barbara Tuchman, in her outstanding book, The March of Folly, defines folly as the pursuit of policy contrary to self-interest, “a perverse persistence in a policy demonstrably unworkable or counterproductive”. Failure, in contrast, is the lack of success of a well-thought out, well-planned policy, based on a thorough, objective analysis of comprehensive pertinent information. This book strives to provide an answer to the question of whether the Oslo peace process was the result of unforeseeable circumstances that led to its failure, or the foreseeable result of unmitigated folly. 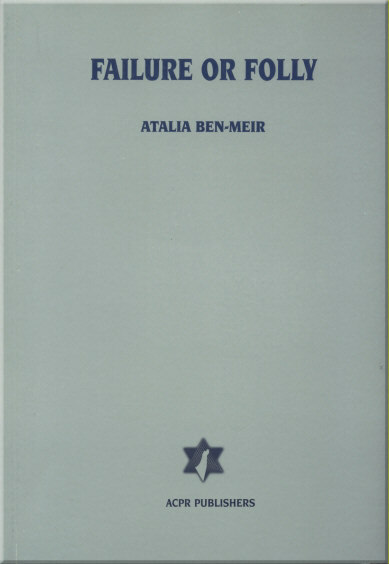 For the complete text of this book in English, click here. 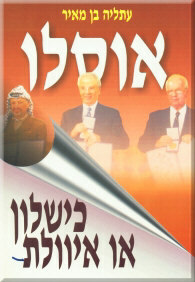 For the complete text of this book in Hebrew, click here.